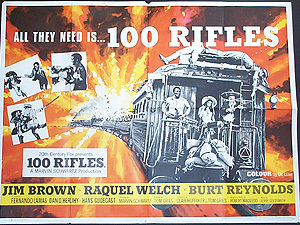 Details Tom Gries directs this 60's western in which Jim Brown plays the lawman and Burt Reynolds the bank robber. Racquel Welch plays the scantily clad senorita who ends up in bed with Jim Brown. Hot stuff filmed in Spain.